It was announced last month that for the fourth year in a row, Indiana University has been named a top producer for the Fulbright U.S. Student Program, as announced by the U.S. Department of State's Bureau of Educational and Cultural Affairs. Ten IU Bloomington students and one IU Southeast student received Fulbright awards for academic year 2018-19. The lists of top-producing institutions appeared in the Feb. 10 issue of The Chronicle of Higher Education. IU Biology alumna Madeline Danforth, who earned her B.S. 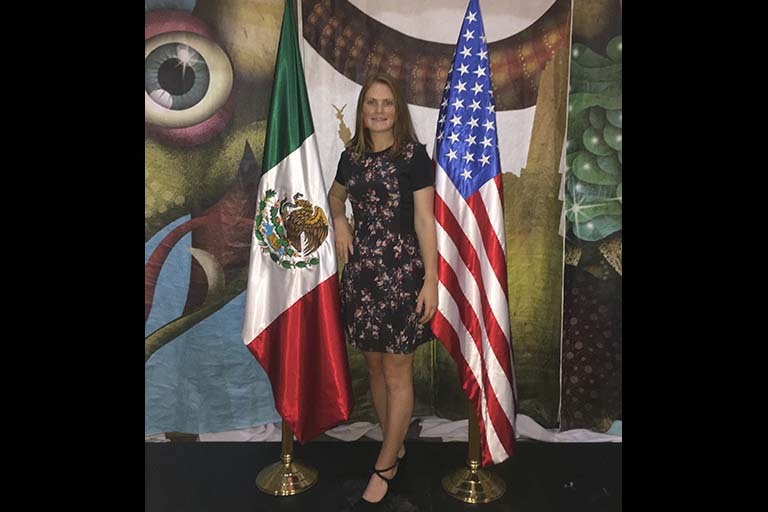 in microbiology with departmental honors last May, is one of the 2018-19 recipients—receiving a Fulbright award to teach English in Mexico. Danforth also earned a B.A. in Spanish and a minor in chemistry in May 2018. Danforth has been passionate about improving and practicing her Spanish in order to eventually serve the U.S. Spanish-speaking population as a physician. As an IU undergraduate student, she spent a summer in Santiago, Chile—studying the country’s healthcare system and observing clinical operations through the IES Summer Health Studies Program. 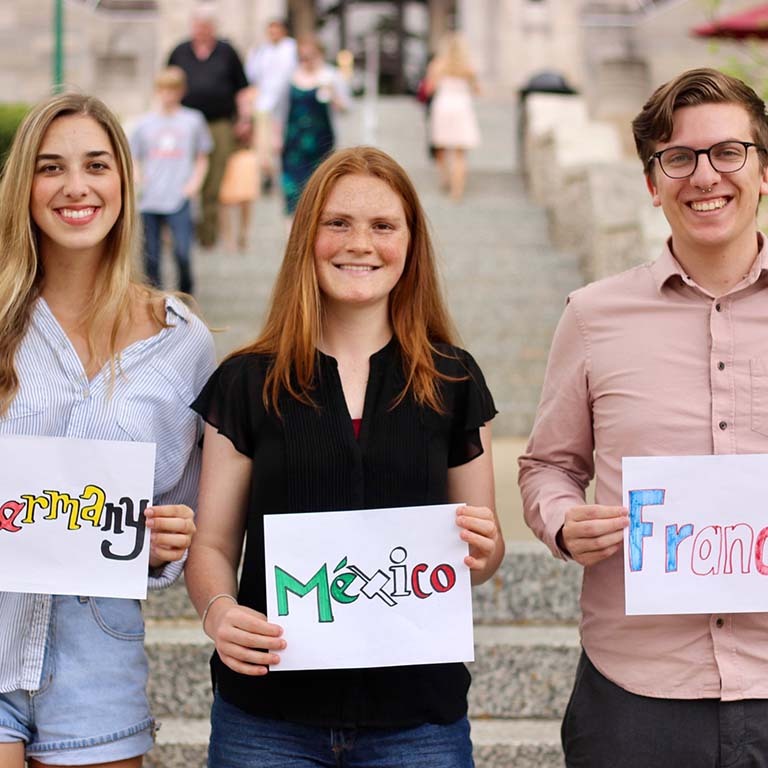 Her experiences in Chile motivated her to become involved with the international community in Bloomington, Indiana, when she returned to IU in the fall—teaching English to Spanish speakers through local programs, particularly VITAL (Volunteers in Tutoring Adult Learners). 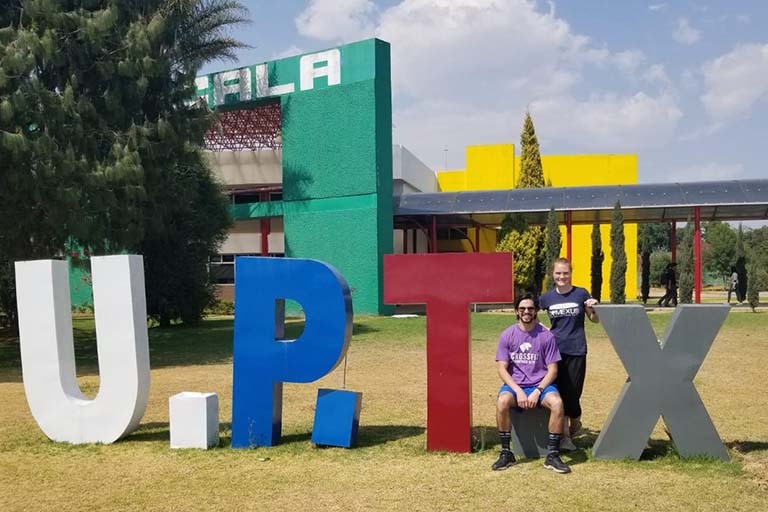 As a Fulbright scholar, Danforth is partaking in cultural and educational exchange as an English teaching assistant in Tlaxcala, Mexico, where she teaches the advanced English class at the Universidad Politécnica de Tlaxcala. 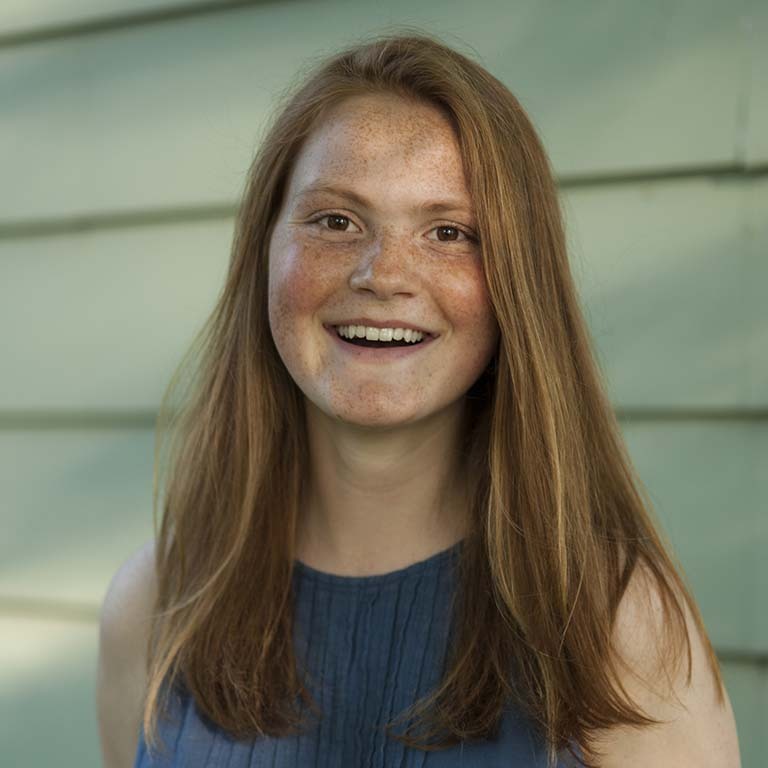 In the fall, she will attend Washington University School of Medicine in St. Louis to pursue her M.D. 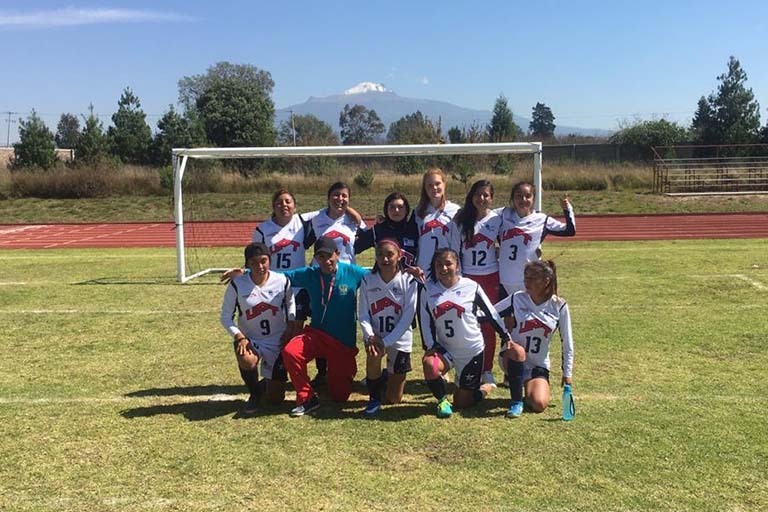 Madeline Danforth shared some photos of her experiences as a Fulbright Scholar in Tlaxcala, Mexico. View them in the slideshow below. Madeline Danforth (back row, second from left) and one of the classes she teaches. She notes, "I teach the 'advanced English class' at my school. 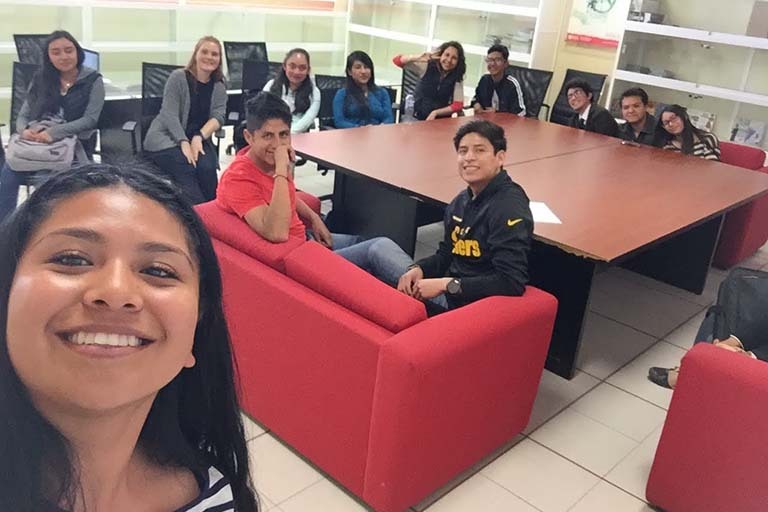 It is like a more official conversation club, and we do activities to encourage students to speak, read, listen, and write in English. Madeline Danforth (third from right) with another one of her classes. 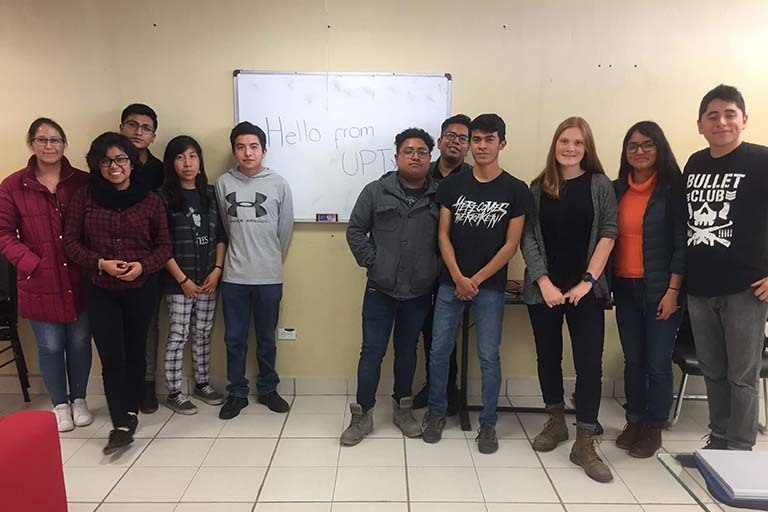 A fellow Fulbrighter (who works in Mexico City) and Madeline Danforth (standing) at the school where she teaches—the Universidad Politécnica de Tlaxcala, which is an engineering school. 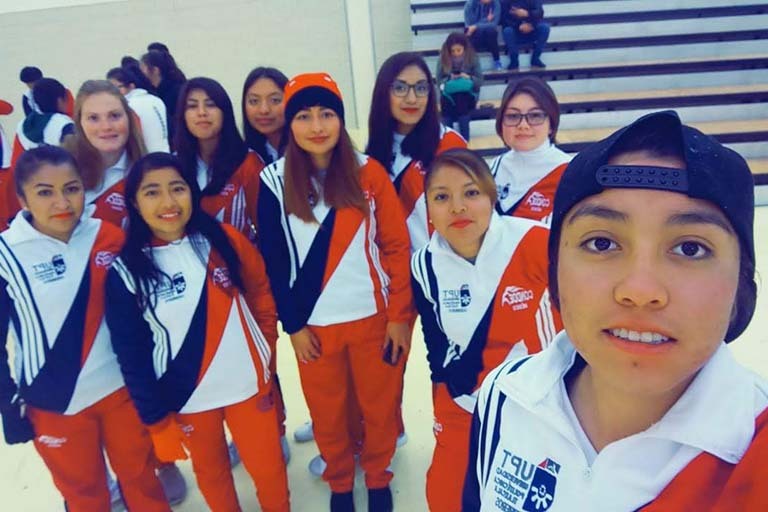 The university's soccer team during the interpolytechnic games. Madeline Danforth is in the back row, first on left. Madeline Danforth gave a talk (in English) at the university about U.S. elections and the current political situation. 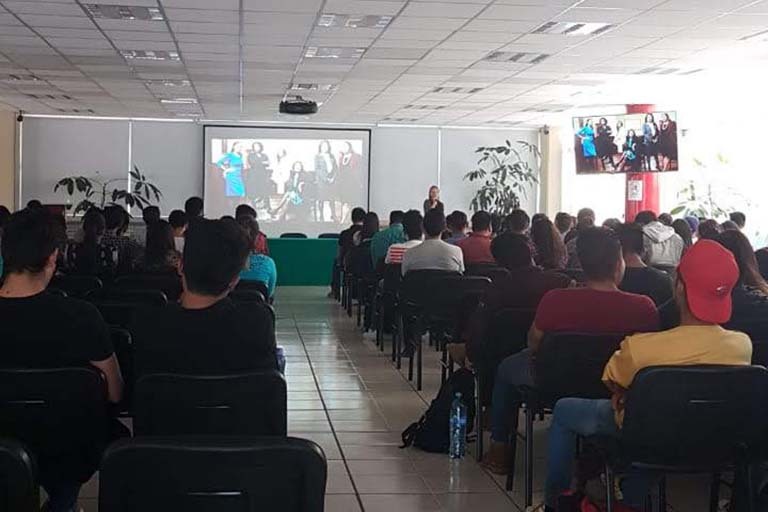 Audience at Madeline Danforth's talk (in English) at the university about U.S. elections and the current political situation. Madeline Danforth in Mexico City at the “museo de arte popular” at an event for her program. Tlaxcala de Xicohténcatl (a.k.a., Tlaxcala City), the capital of Tlaxcala and where Madeline Danforth lives while serving as a Fulbright Scholar. 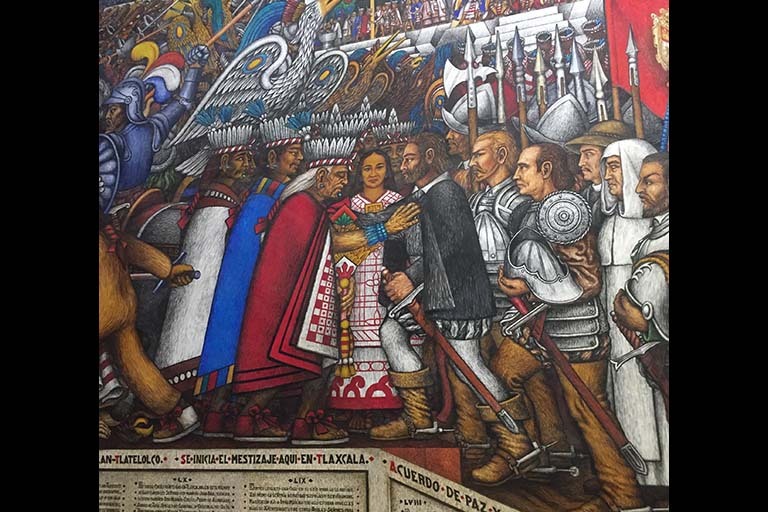 A portion of a mural panel at the government palace in Tlaxcala City, painted by Desiderio Hernández Xochitiotzin. This shows Malinche, Cortes, and the Tlaxcalteca leader making an agreement during colonization. 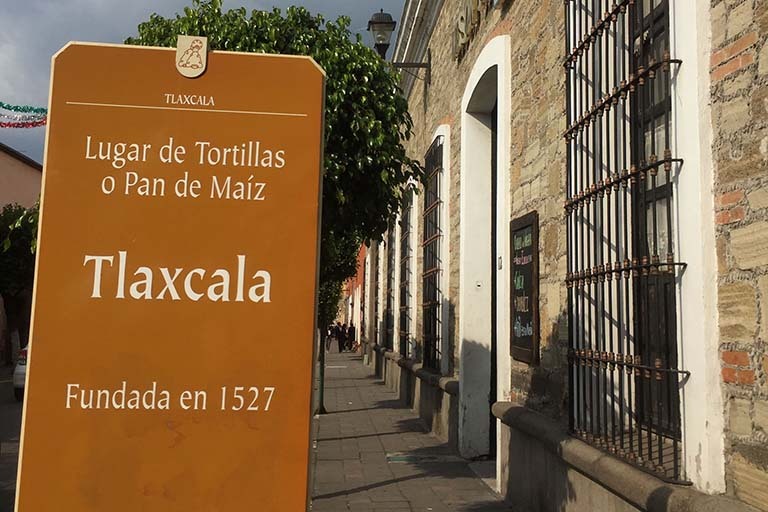 These are important murals for Tlaxcala. Tlaxcala de Xicohténcatl taken from “Las Escalinatas,” a lookout in Tlaxcala. The Fulbright U.S. Student Program is a program of the U.S. Department of State, funded by an annual appropriation from the U.S. Congress to the Bureau of Educational and Cultural Affairs. 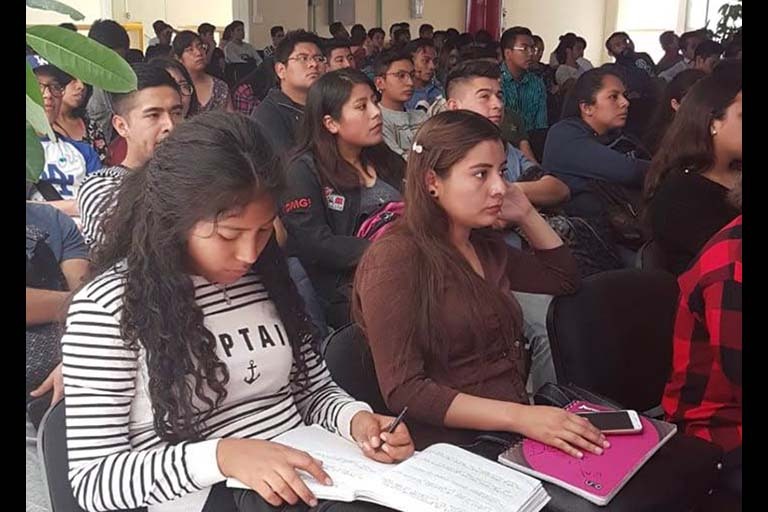 It is supported in its implementation by the Institute of International Education. 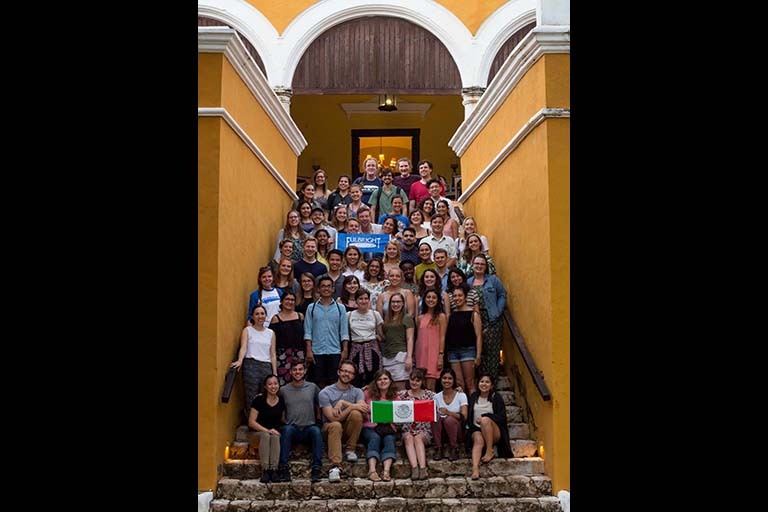 Students who are interested in pursuing a Fulbright U.S. Student Program grant should contact their respective adviser: Paul Fogleman advises IU Bloomington undergraduates and Duke Gatsos advises IU Bloomington graduate students. Students on other IU campuses can search for their adviser on the Fulbright U.S. Student Program website. Some of the above content is from the IU news release, "Indiana University named top producer for Fulbright U.S. Student Program." Read the release for additional information and a list of IU's Fulbright U.S. Student Program grant recipients, including their major(s), hometown, host country, and type of Fulbright award.